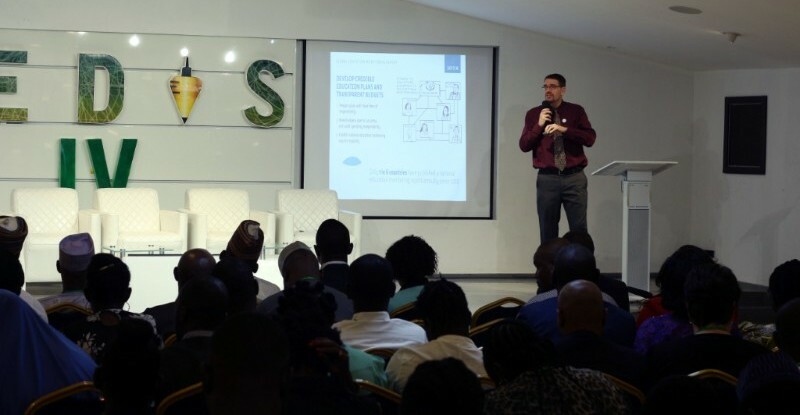 The fourth edition of the Nigerian Education Innovation Summit was held at Gbagada between 18th and 19th October and Wave team members: Lolade, Ruth and Ebehi were in attendance, representing the organisation. It was organized by The Education Partnership Centre and was themed “Accountability and Transparency in the Education Sector.” This annual event is aimed at strengthening the educational sector of the Nigerian economy. However, this year’s summit was majorly about discussions directed at impugning accountability and transparency inadequacies in the educational system in Nigeria. Mr William C. Smith from The UNESCO Global Education Monitoring Report opened the summit, with over 250 stakeholders in attendance, examining the issue. The summit was divided into different sessions of master classes on Data Visualization, and Advocacy and Strategic Communications, which were led by BudgIT and Connected Development respectively. Also, there was an exhibition of innovative education products and services, and breakout discussion sessions.